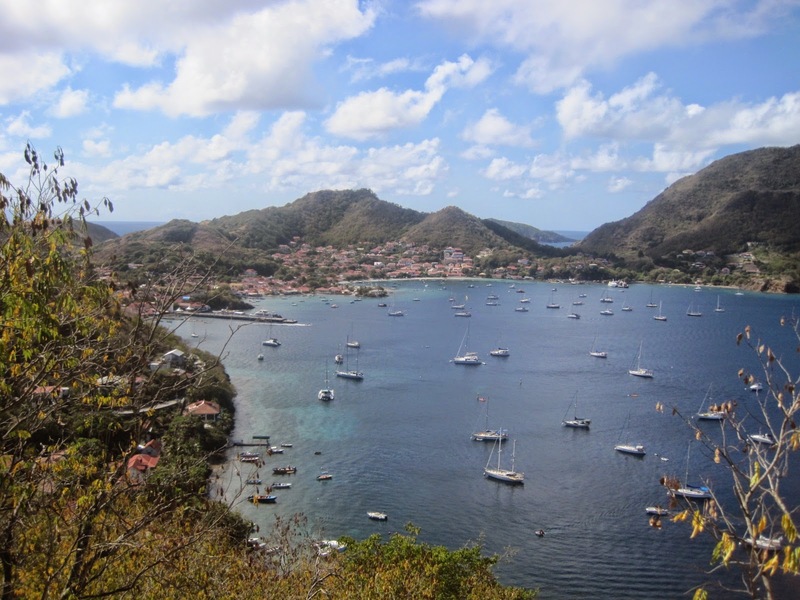 Les Saintes are small islands 10 miles off the southern coast of Guadeloupe. 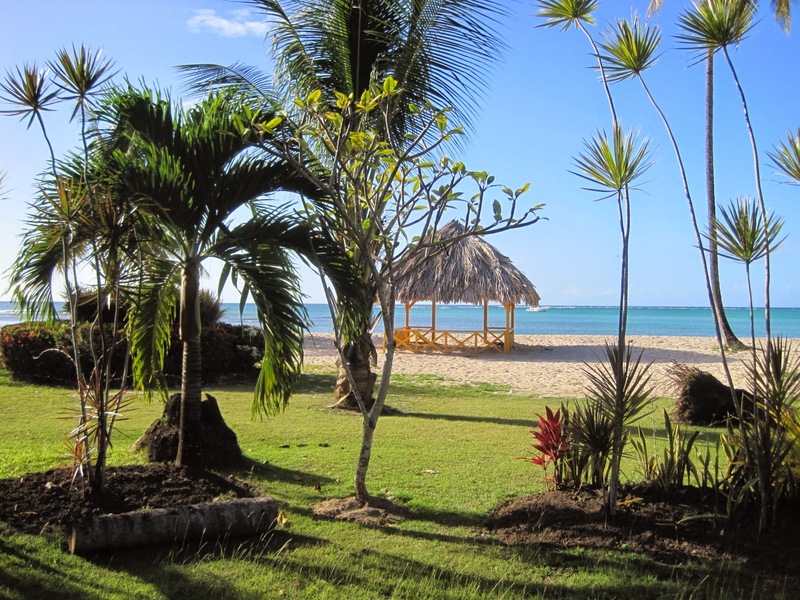 This secluded set of islands has been French since its colonization and has always supported a community of fisherman. 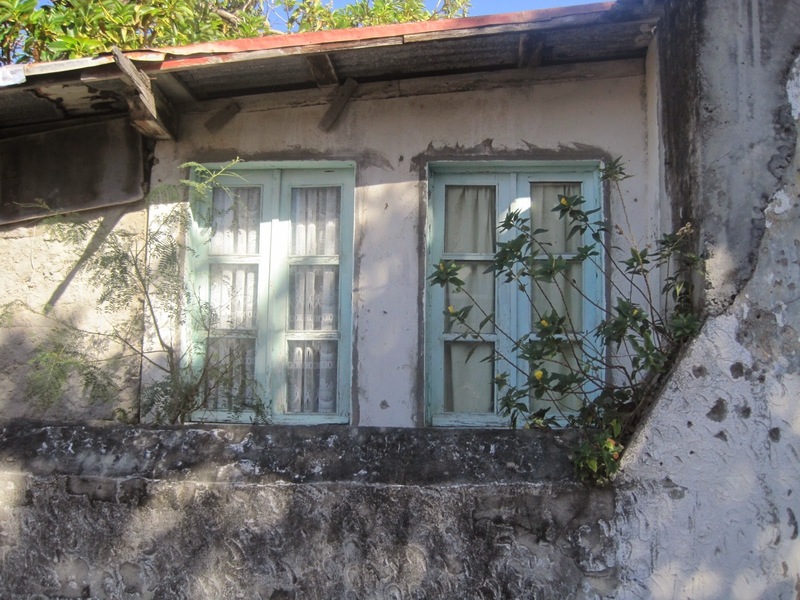 Les Saintes are charming and have an energy fed by the steady flow of day-trippers from Guadeloupe. 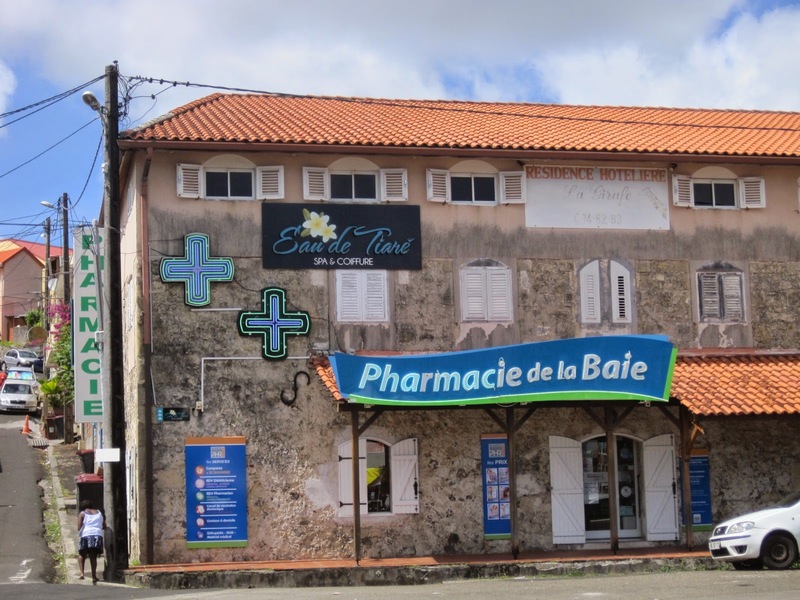 The only town is Bourg Des Saintes on the island of Terre D’en Haut. 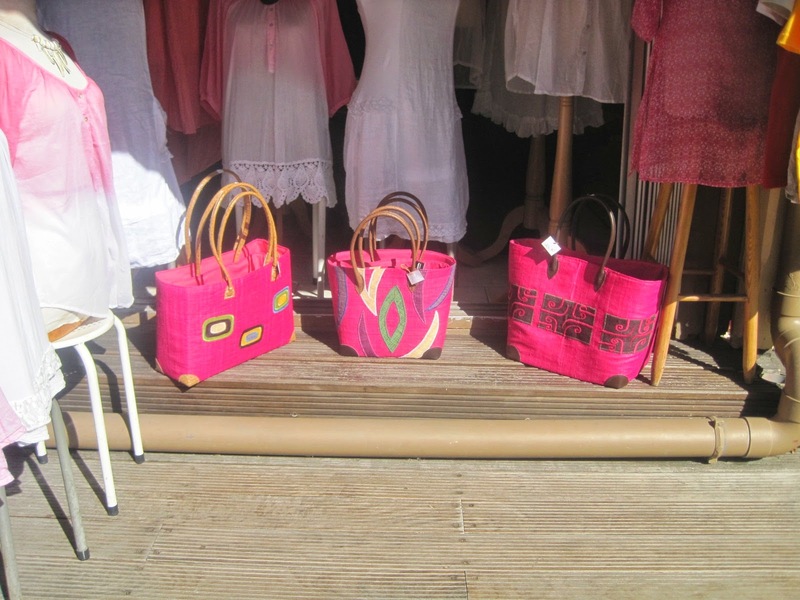 With restaurants, boutiques, and art galleries lining its narrow streets, Bourg Des Saintes is a beautiful stop over. 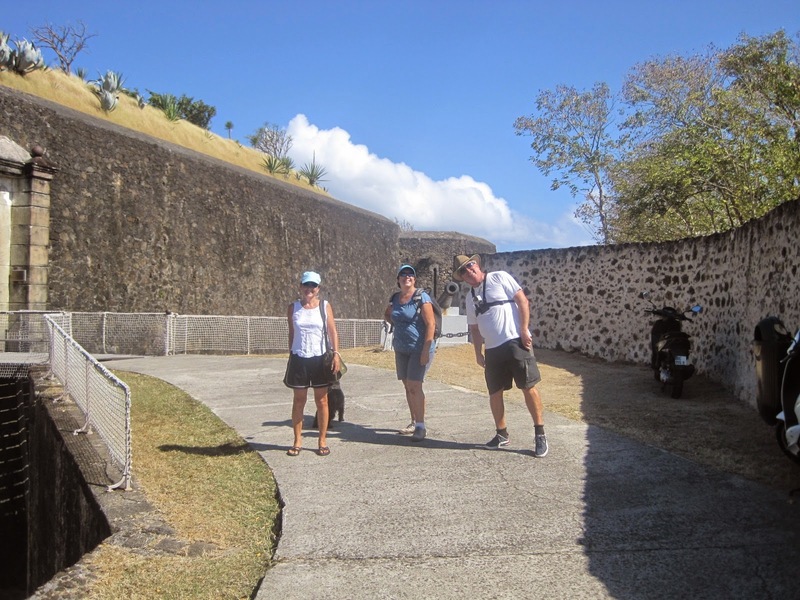 Accompanied by Jonas & Ann-Sofie and Tony & Anne, we climbed a steep, winding road to the highest point on the island - the site of Fort Napoleon and enjoyed spectacular views of the islands as well as Ilet a Cabrit, home of Fort Josephine. 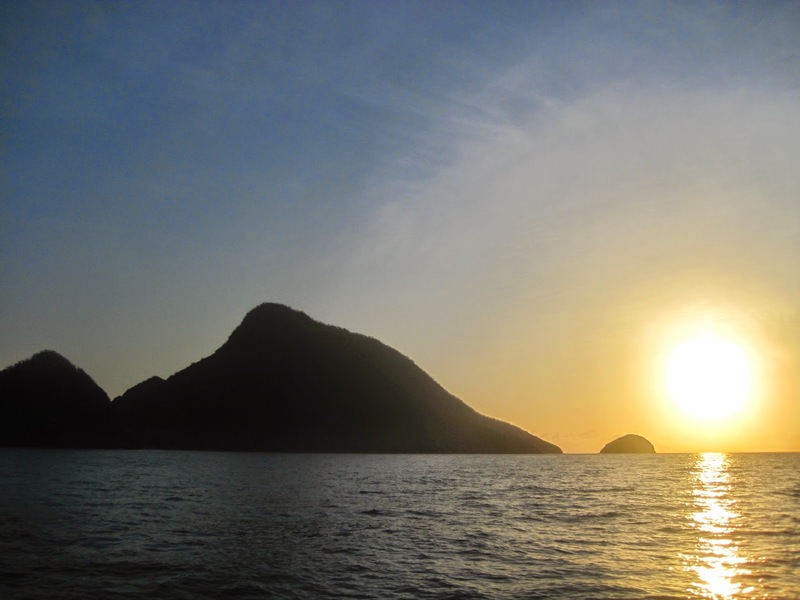 The waters surrounding this small archipelago offer great snorkeling so about twice a day we put on masks and fins to explore the coral reefs and attempt to identify some of the hundreds of tropical fish that make them their home. 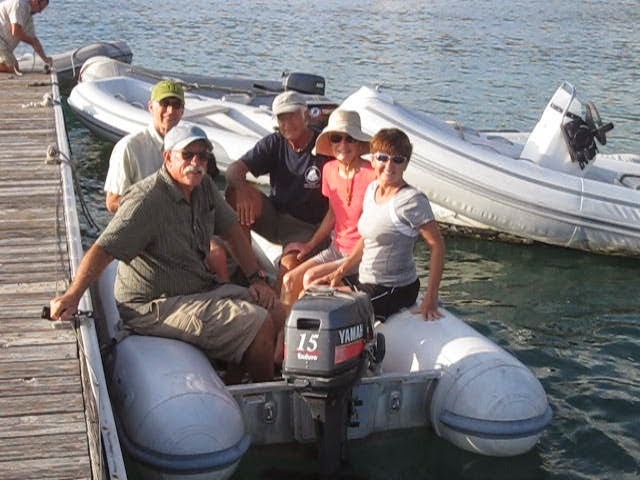 Our friends on Lady Annila and Argosea were here for a few days. 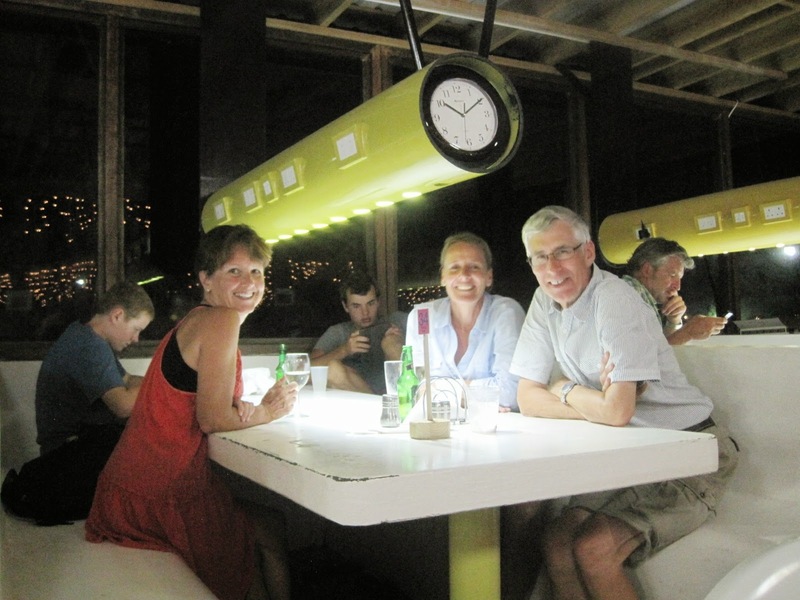 We enjoyed time to share stories, sundowners, and a meal with friends. We will reunite again further north. 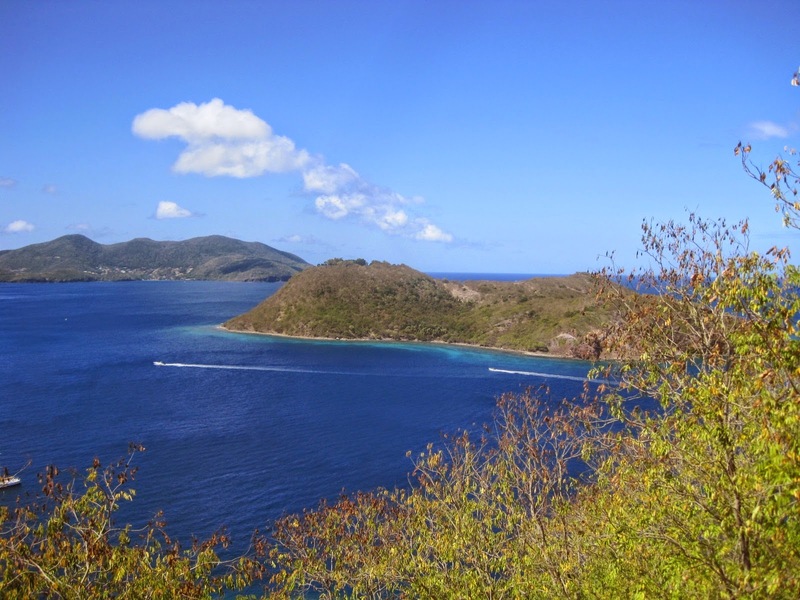 Guadeloupe to Pigeon Island, once thought by Jacques Cousteau to be one of the 10 greatest dive sites in the world. Then it’s north to Antigua. 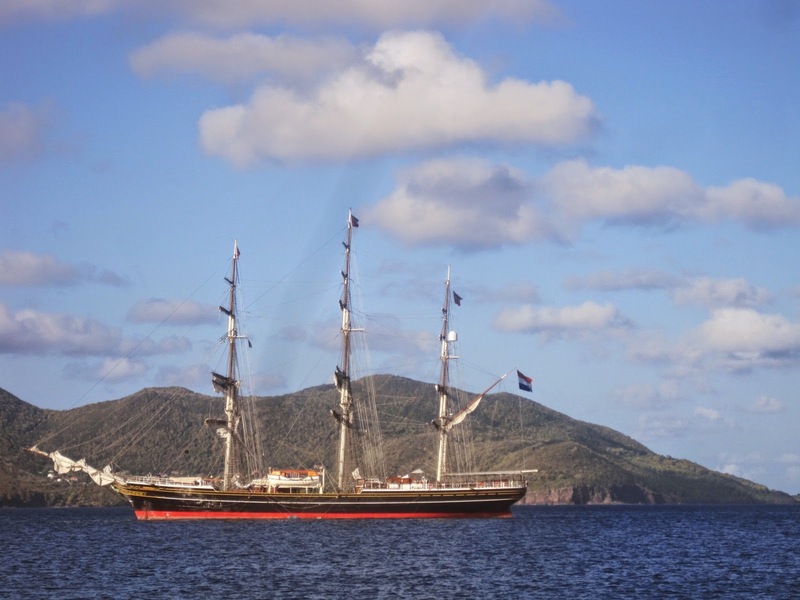 We are revisiting favorite locations and also sailing to places that we missed on our journey south including Saba, Barbuda, and Statia. But, it all depends on where the wind blows. Chores are completed for today so it’s time to bring Murray ashore, visit an internet café to post the blog, and then go for a swim. 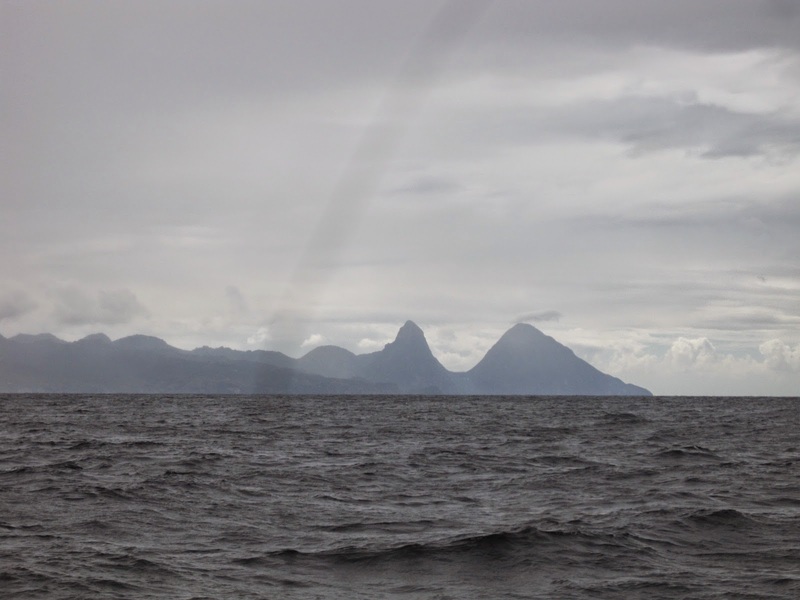 After months in Trinidad on the hard, we are once again out to sea. 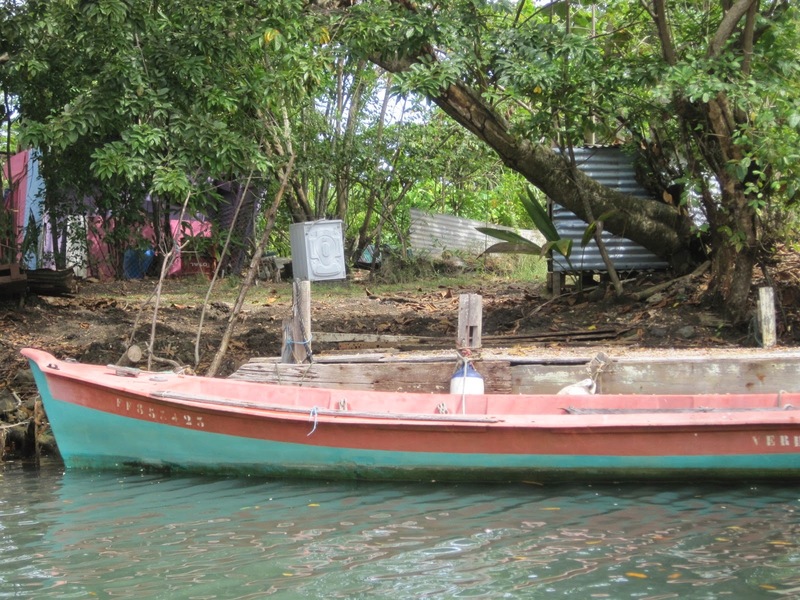 While in Trinidad, we had repairs to Atalanta’s bottom expertly completed by “Cow” and a new Yanmar 100 hp engine installed by Adian. Both jobs went well but took longer than anticipated. 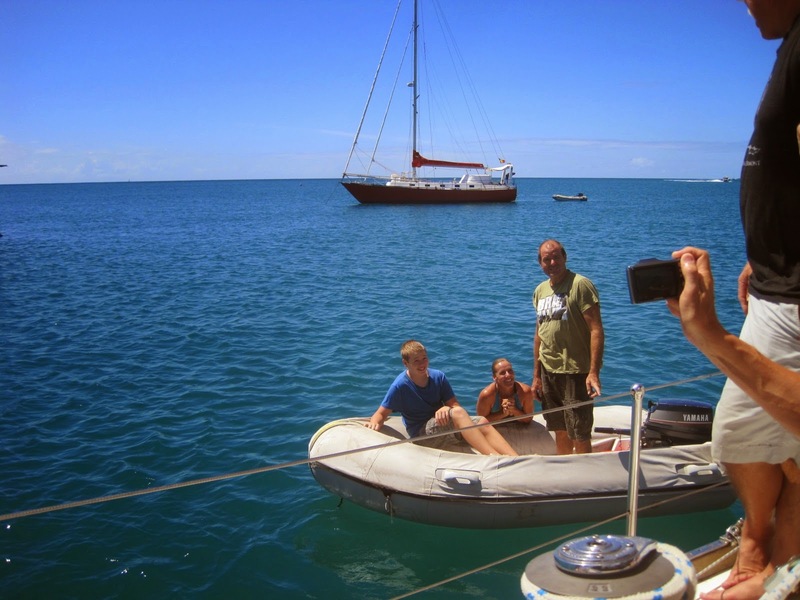 Upon leaving for Tobago, we were joined by our good friend John. After his first ever overnight sail we arrived in Store Bay. As is the law, we checked into customs and immigration. 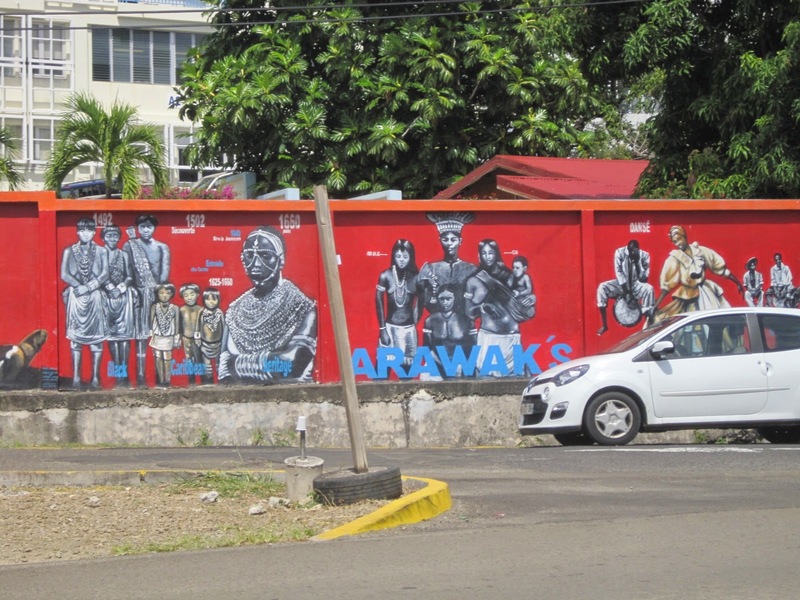 While we have checked into and out of dozens of countries along the way, the process in Tobago was problematic. For the “crime” of missing one piece of paper from Customs in Trinidad, we were not allowed to leave the country, threatened with jail time, and fined $3,000 TT or $500 USD. 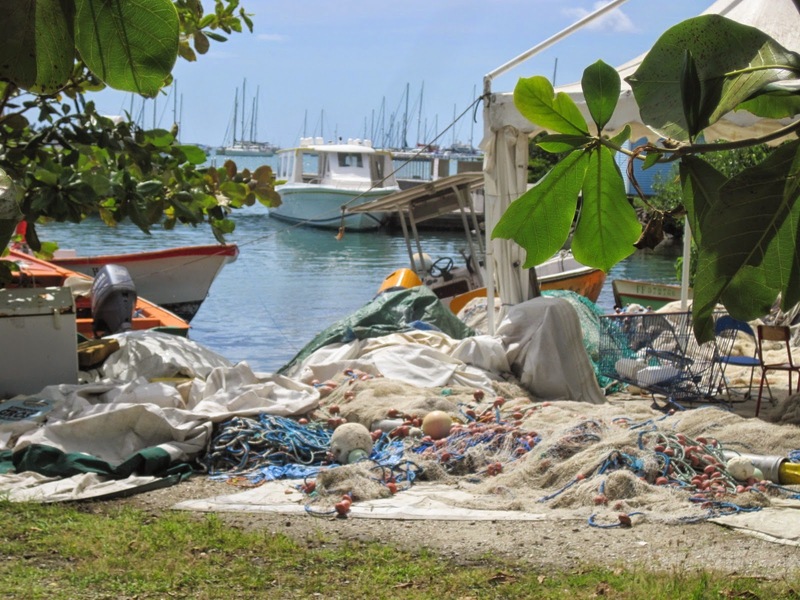 Other cruisers have reported similar problems with Tobago Customs and one can only avoid this truly beautiful country to prevent dealing with its corrupt Customs Department. This experience soured us and we left after 3 days (as soon as we were allowed to depart). 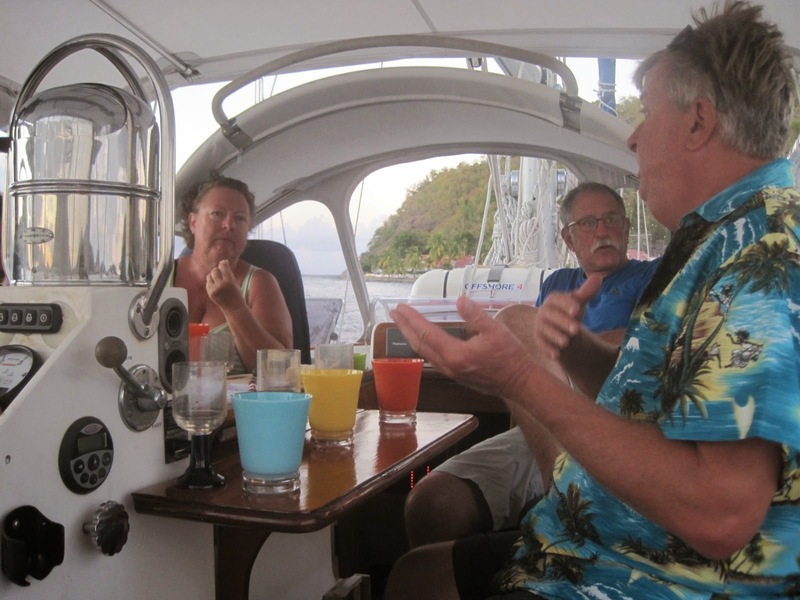 From Tobago, we sailed back to beloved Grenada. It felt like going home after having spent two and a half months there during the hurricane season. 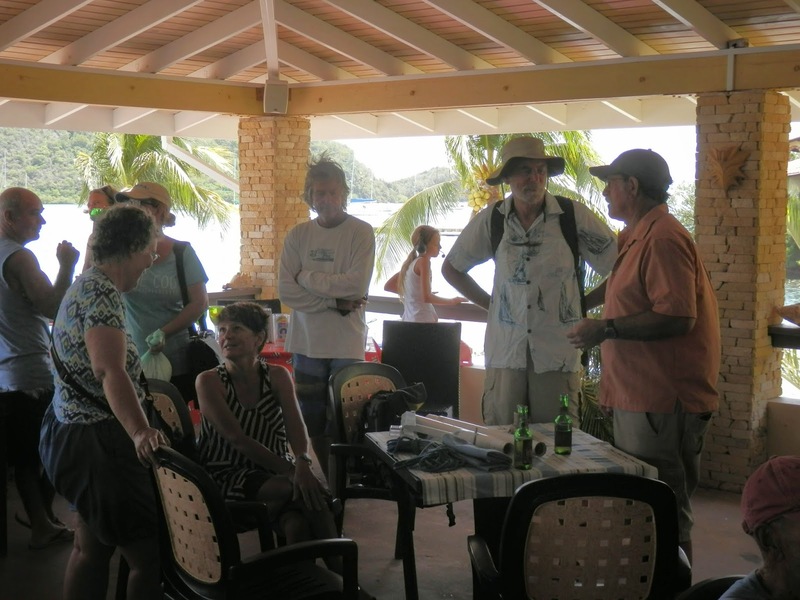 We had the pleasure of sharing Prickly Bay with John, reconnecting with old friends and meeting new ones. Notable new acquaintances include June and Bruce on Ainia and Barbara and Ted on Rosa dos Ventos. Ted and Barbara, interestingly are fellow Vermonters and veterans of the University of Vermont. It was a pleasure getting to know them and we look forward to future sails together. 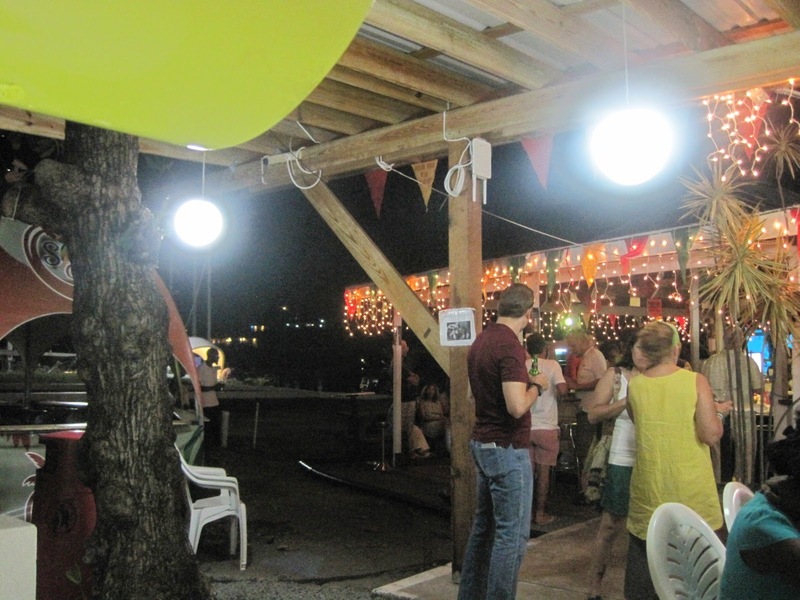 While in Grenada, John was introduced to many Grenadian traditions including hashing (hiking followed beer drinking), the jumble (a market where yachties sell unwanted stuff), dominoes, roti, and pan bands. John also had the pleasure of night-time passage making on three occasions. 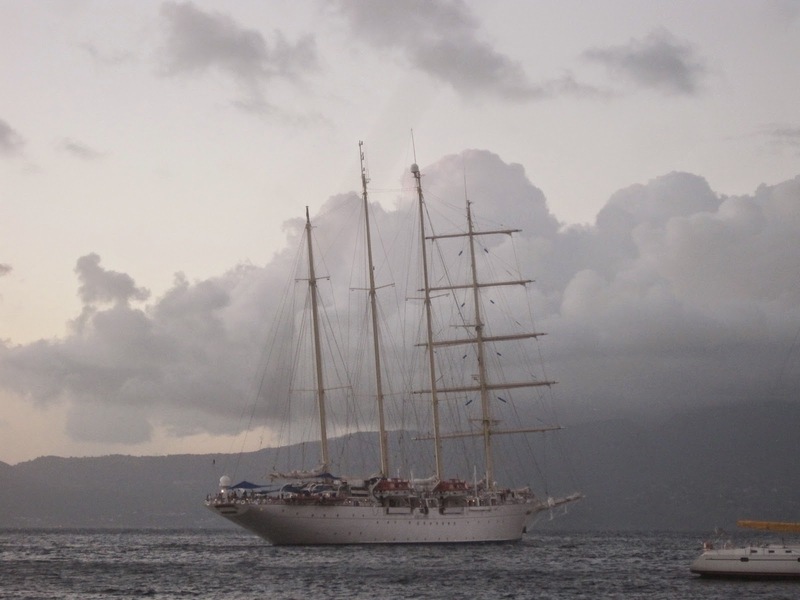 We were sad to see him depart from St. Lucia after three weeks. It’s a pleasure to have him onboard and we’re looking forward to our next adventure together. 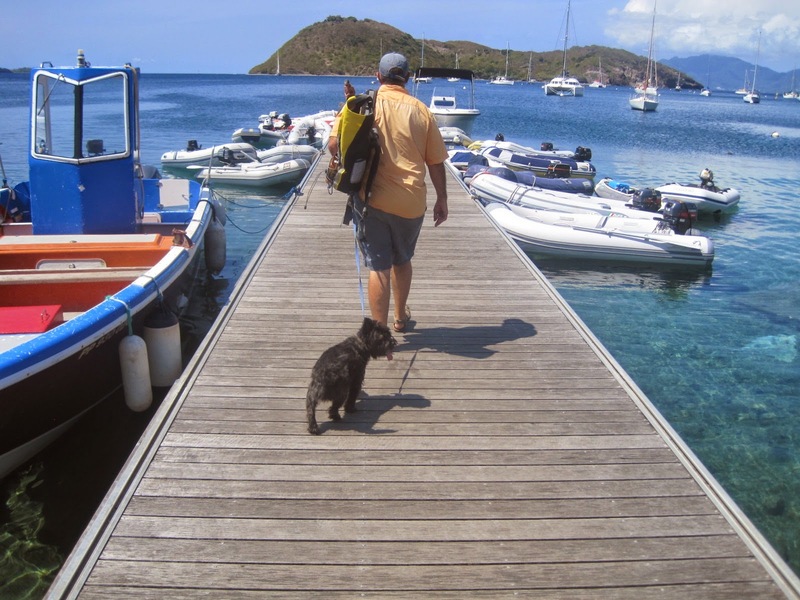 We’re in Les Saintes, a group of small islands in sight of Guadeloupe. 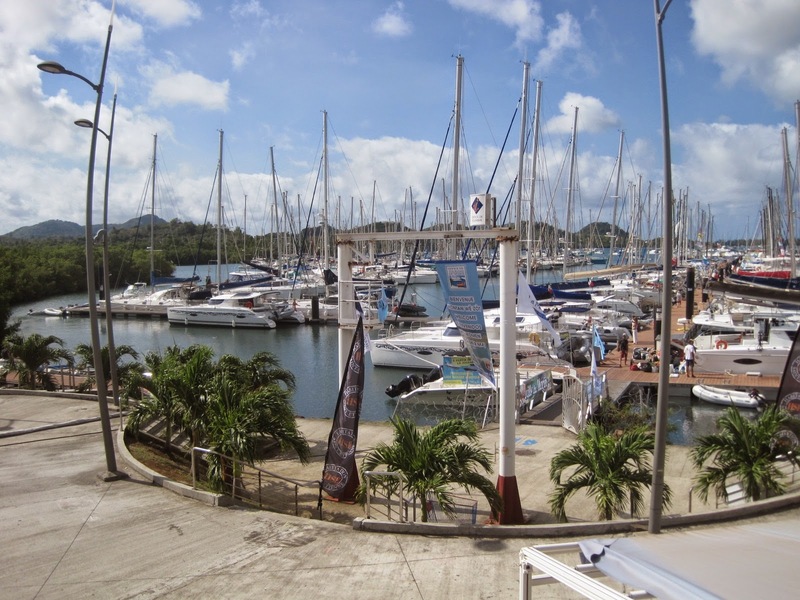 In route, we stopped in Martinique and enjoyed a short visit to Le Marin. 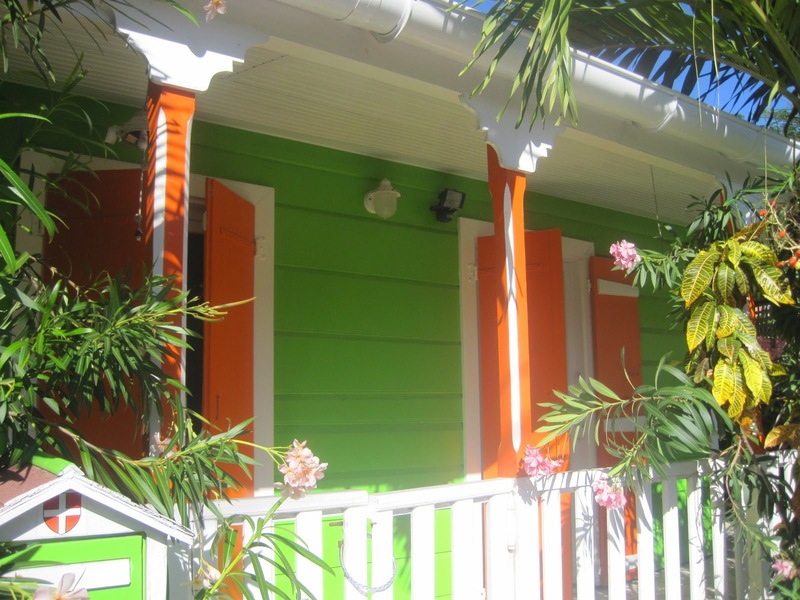 Like Les Saintes, Martinique is French and offers some great food, wine, and especially bread. 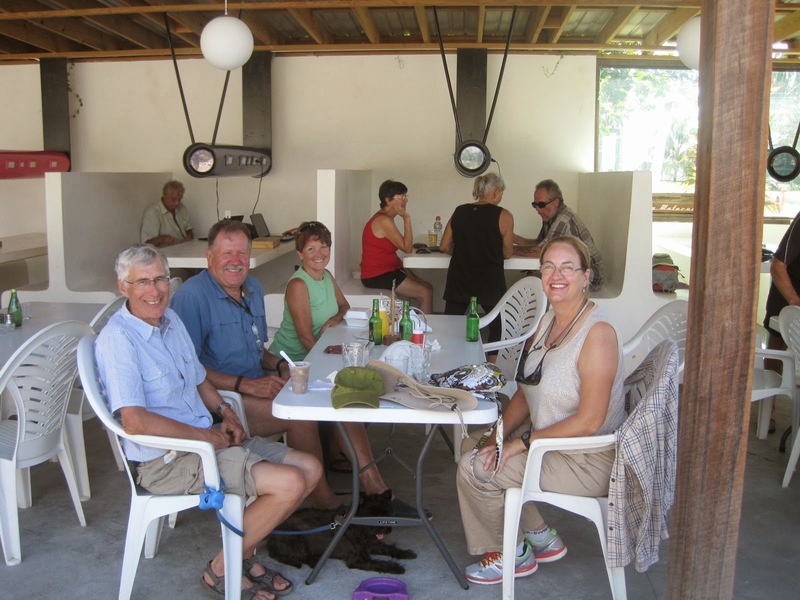 Here in Les Saintes we rejoined our good friends Jonas, Ann-Sofie, Tony and Anne. We have missed their company. 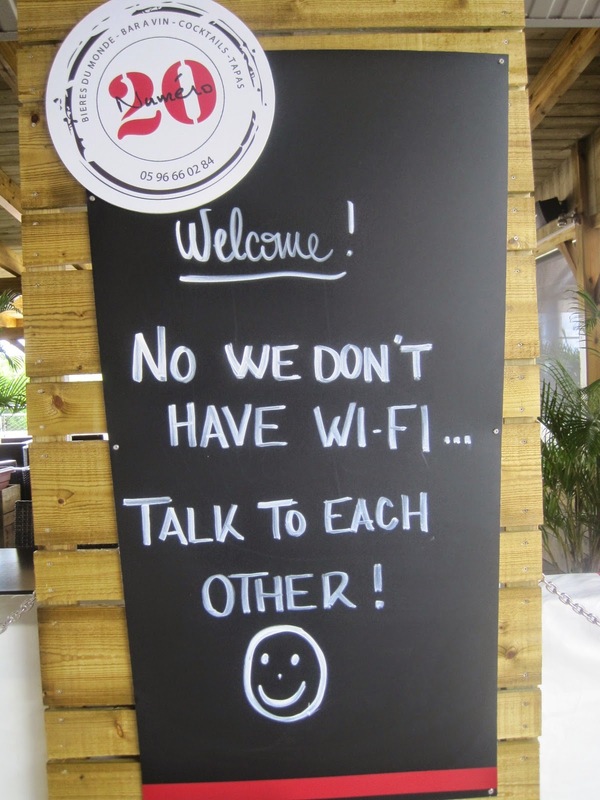 So for the next week or so it will be snorkeling, listening to music, reading, sipping wine, eating croissants, and catching up with friends. 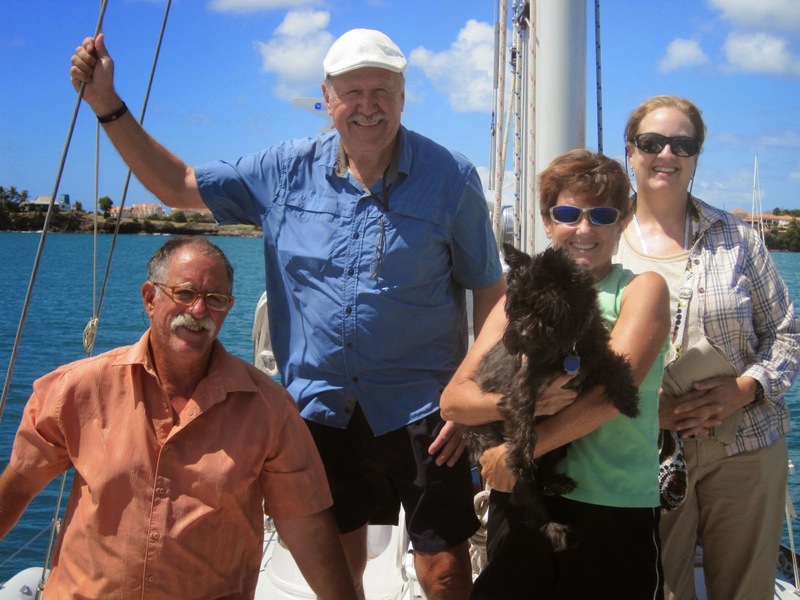 Bruce and June are sailors that we have been following via their around the world blog for the past six years. It was a great surprise to see them anchored in Prickly Bay, celebrating the completion of their circumnavigation. Interestingly, June is the first Chinese woman to ever have circumnavigated. Quite an accomplishment! She has written a book we would love to read but we need to learn Chinese first.